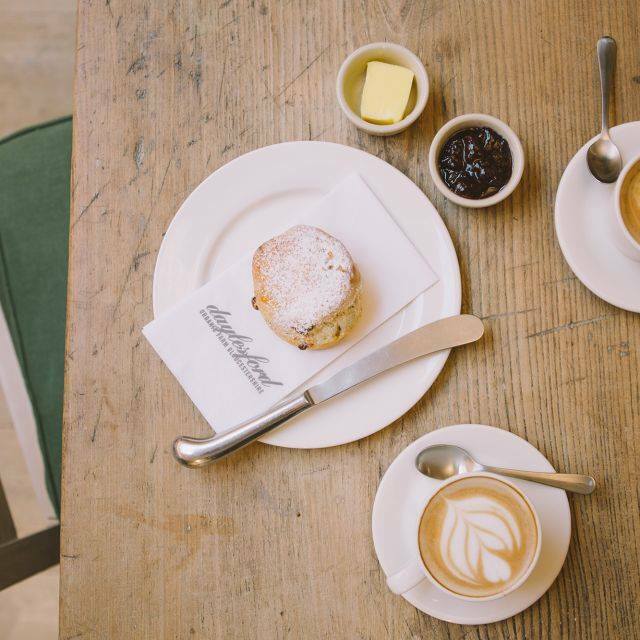 Define London + Daylesford-double shot. SATURDAYS BE FOR BAR(RE)-HOPPING, BRUNCHING, SUSTAINABLE SHOPPING AND BAD-ASSING (yes it’s a thing). START: Define, 82 Great Portland Street, Fitzrovia W1W 7NW, London. FINISH: Daylesford, 6-8 Blandford St, Marylebone, W1U 4AU, London. TUBE: Oxford Circus / Bond Street. THE WORKOUT: Saturday 10:35am Define Barre Mixed Levels. Ballet-inspired work-outs are having a moment and Define London is taking out the traditional plié - relevé - jeté lingo and added a bit of spice to it to make it accessible to everyone. 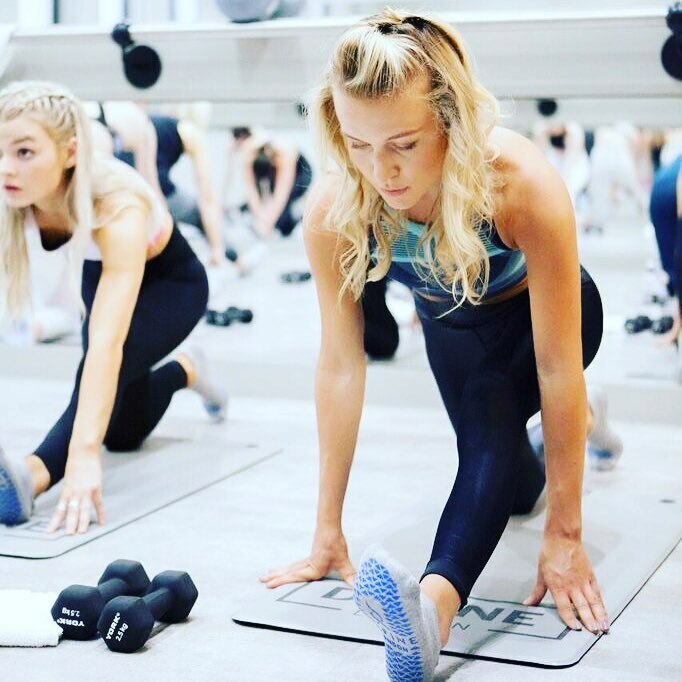 Founded by Ashley Verma after she put her knee out in a performance on Broadway, the classes are non-stop using full body cardio, stretching and strengthening methods to achieve that strong, lean, sculpted body aesthetic. They also help bring achieve longevity to your fitness by stabilising all those lazy muscles (think ankles and glutes) with finer, more targeted and isometric movements, which take their cue from ballet warm-ups. If that all sounds like a load of jargon, just know that the classes work! Not only do they have the expected body sculpting powers but they also provide stress relief and brain-training (there’s a whole lotta concentration involved). Define Barre Mixed Levels is a great one to introduce you to the studio. Classes stick to the same format but no individual session is the same. Move through a range of isometric holds (damn you wall-barre sits!). Up the ante with weights with additional muscle burn. The team will spur you on throughout the class (they’re also super hot so its added motivation). At the end you get a lovely stretch-off. After class notice the endorphins flood-in, you’re energy go up and most importantly the smile on your face because you had a bloody good time. Bonus points for Define if you like your studios pretty; it has slick showers, two training rooms and an entrance boasting a full flower wall and sparkling chandelier. FYI: Define also run shorter thirty minute express classes if you’ve only got time for a lunchtime quickie. Define have also got their own at-home work-out videos you can buy online, so you can “define” yourself whenever and wherever you want! THE FOOD: The Marylebone outpost from sustainable farming heroes at Daylesford (basically the organic foodie dream) draws a real crowd. And for good reason. As soon as you enter this light-filled open-plan farm shop and cafe, you know you’re somewhere that cares very much about food. Mainly that its good for you, and good for the planet. All the beef, lamb, chicken, bread & cheese comes from the organic Daylesford farms in Gloucestershire and Staffordshire. All their wild ingredients are sourced sustainably. And if you’re interested in knowing more, then the staff will happily chat through their holistic approach. Back to the food - if you’re in more of a breakfast mood, the smoked salmon on fruited pumpernickel and hard boiled egg is terrific. This is the kind of dish where quality is clear; silky, salty smoked salmon and a fresh egg with a deep orange yolk. If you want to go meat-free (we say kale-yeah!) then the “Super greens Eggs Benedict” with wilted greens is the one. There’s also a fresh selection of Winter salads are available; “Daylesford Slaw Raw” with cabbage, carrot, beets, spicy toasted cashews and a chilli, ginger and soy dressing, “Winter Wellness” roasted squash, rocket, black beans and wild rice, “Orchard Raw” with green kale, heritage apples, sugar snaps, toasted seeds and honey mustard dressing, would be our picks. If you’re bloody freezing and fed up with the cold (we don’t blame you) then a good idea is to get some salads to share alongside a hot chicken broth or vegetable soup with homemade bread. For starving Marvin’s add some of the salads to a protein main like satay chicken, sweet potato with red lentil dhal, artichoke tart or venison rump. Accompany your Gywneth P approved feast with a homemade ginger Kombucha or cold-pressed green juice. For true healthy hedonists (r-e-s-p-e-c-t) hanging from last nights shenanigans, the “Daylesford Mary” with golden cherry tomato juice, vodka, Worcestershire sauce, lemon and spicy Tabasco might be the way to go. On your way out don’t forget your food shop! Or at least pick-up some special weekends bits; the home-made bread is really worth the money and a healthy treat from the bakery is never a regret. THE PRICE: A single class at Define is £28. First-timers pay £28 for two classes. Daylesford Mains: Winter Salads £14 for three, £16 for four. Mains and two winter salads £18. Smoked salmon and egg £12, Super greens eggs Benedict £13, Chicken broth £8 and vegetable soup £7 (both served with homemade bread). Drinks: Cold pressed juices, nut milks and smoothies £6 (250ml), Kombucha £4, Tea infusions £3.5, Flat white £3. BEST FOR: The most health-inducing and life productive (yet enjoyable) Saturday morning.